As we conclude 2010, another year of rich activity, we are proud to share with you the good news of Elijah’s work having taken a major step forward. As reported in the following news item, Elijah has extended its work with world religious leaders and scholars and taken our message of sharing wisdom into local communities. The All-India training seminar, just completed, suggests the urgency and continuing relevance of Elijah’s work and points the way forward in the coming year. However, it also brings to mind the biggest challenge that we continue to face – financial support. This pilot program was conducted on Elijah’s slim operating budget. If we are to continue in this pioneering work, we require partners, with whose help this work can be advanced. As the year draws to a close, we ask you to remember Elijah as part of your end of year giving. Elijah’s vision of ‘sharing wisdom, fostering peace’ was advanced significantly this month, when the first 26 graduates of our Education Network’s Interreligious Dialogue Training program completed their seminar in Amritsar, India. The Educational Network’s India Training Program was designed to implement and develop the Educational Network in India, as a key component of a planned global educational initiative. 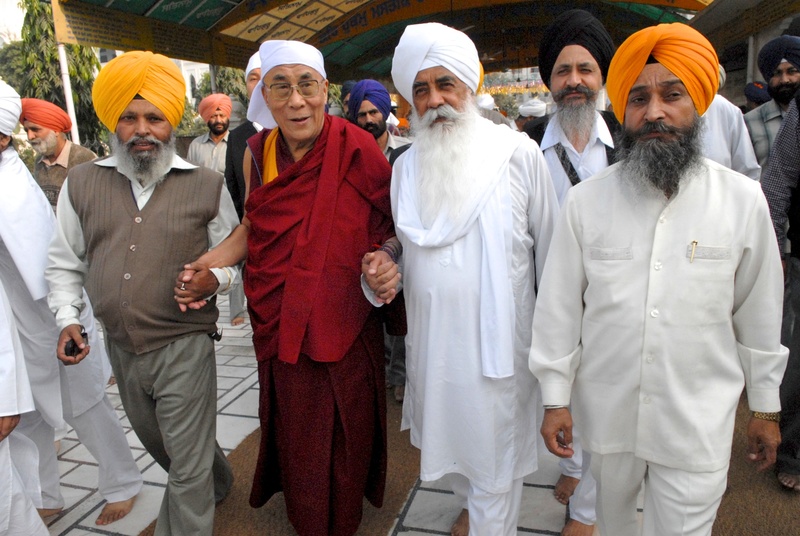 This gathering in Amritsar, the holy city of Sikhism, was characterized by a profound sense of openness,logoamisrael mutuality, respect for one another’s faith, and trust. The sense of shared spiritual longing pervaded our deliberations our and our commitment to taking our learnings from our meeting to the larger world infused our discussions. There was both an intimacy to our discourse and expansiveness to our vision. 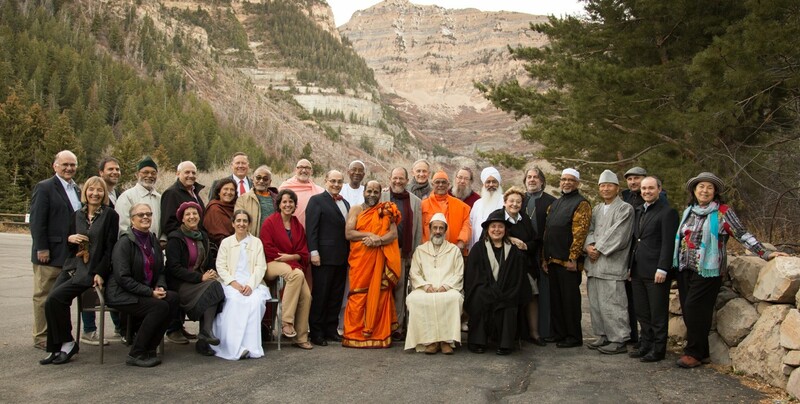 Through this Declaration, we invite others to join with us in affirming the profound Wisdom of our religious traditions and how that wisdom can inform the world. 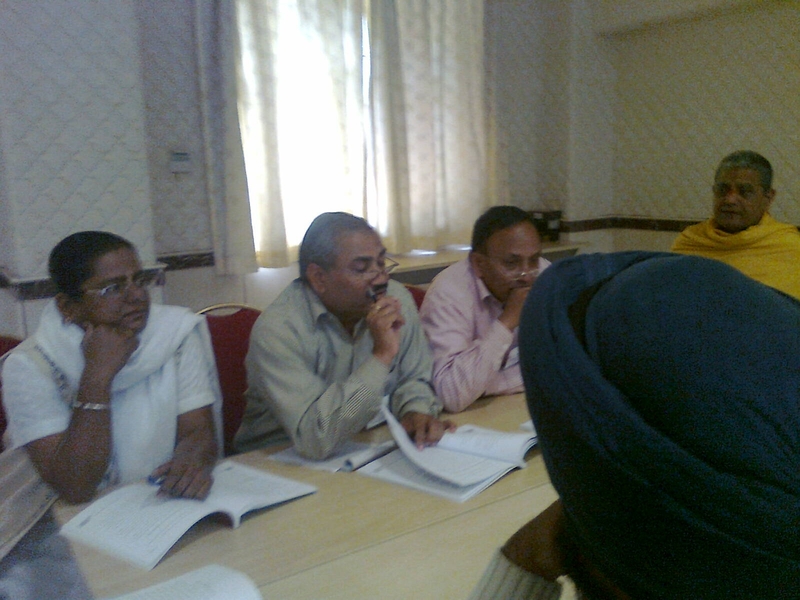 As a result of the call of the religious leaders at the meeting for religions to ‘offer their finest teachings as a resource to guide humanity to safe harbour’, Executive Director, Alon Goshen Gottstein, and Director of Educational Activities, Peta Jones Pellach, developed the work of its Educational Network and designed its India Training Program. This project brought Elijah back to Amritsar with a program that engaged religious leaders, academics and interreligious activists from across India and inducted them into the world of interreligious dialogue and sharing of wisdom. Participants gathered for an intensive week of study of sacred texts, personal reflection, interaction with religious leaders from Elijah’s Board and from our scholars, acquiring skills and making new relationships. They were drawn from twelve universities and represented Muslim, Buddhist, Hindu, Christian, Sikh, Jain and other local religious traditions. They spoke Hindi, Punjabi, Tamil and English and came from major cities and small villages, from Kashmir to Kerala to Madurai, travelling up to three days to join the program. They focused on a common endeavour and completed their week transformed through knowledge and challenging experiences. Participants studied six learning units on the theme ‘From Hostility to Hospitality’, based on papers from the Seville meeting of the Elijah Board of World Religious Leaders in 2003. The academic papers presented at the Board meeting have been translated into expertly-crafted study units by Elijah scholars, each unit comprising sources and an essay, summarizing the positive elements as well as the challenges that beset each religion studied, in its relationship with other religions. Original units cover Judaism, Christianity, Islam, Buddhism and Religions of India (Hinduism). A Sikh unit was added for the seminar.In addition to formal study, participants were treated to presentations by many of Elijah’s leaders and scholars, including Khandro Rinpoche and Timothy Gianotti by Skype hook-up, and Shrivatsa Goswami and Bhikku Sanghasena in person. Other local contributors who addressed the group included Father John Chathanatt and the Jathedar from the Golden Temple, who also presented participants with an orange scarf, bestowing a great honour on each person.A highlight of the program was visiting places of worship, including evening prayers in a Roman Catholic Church and at a mosque, and joining the worshippers at a Hindu Temple. The groups spent a morning at the Sikhs’ Golden Temple, experiencing the range of activities of a spiritual and social welfare nature that take place in the precincts. Watching the way food is prepared for and served to thousands of pilgrims each day (the Langer) had a profound impact on the group. After these visits, participants were able to analyse the similarities and differences between religions in regards to worship. This increased understanding was enhanced by morning reflections, conducted each day participants from a different religion. The final day of the seminar was devoted to ‘taking the program home’ and participants worked intensively with others from their locality laying the groundwork for their future role as Elijah Educational Network interreligious dialogue leaders. Their role will be to transmit the knowledge and understanding they have gained to university students and the broader community.The first step in that process will be for participants to report to their institutions on the training they have received and to solicit support for an ongoing program of activity. Each institution and each locality has different needs and difficulties but participants have taken on the role of local Elijah leaders and have decided on the first steps towards implementation of the Elijah Educational Network in their particular locality. With these local leaders in place, the Educational Network in India will be able to move forward, conducting the following activities: local interfaith study circles, based the on Study Units that have been prepared by the Elijah Interfaith Academy; involvement of Elijah scholars and religious leaders in Network activities, providing guidance and inspiration to the work of the Educational Network; an Annual Network Conference to deepen study and understanding, enabling the formation of coalitions towards a practical action for launching community-based initiatives that grow from the study process; building a global interfaith community on Elijah’s website in order to initiate a global conversation and facilitate collaborative projects among Network members. The ‘Elijah All-India Interreligious Dialogue Training Seminar’ was conducted by Alon Goshen-Gottstein and Peta Jones Pellach, in conjunction with Guru Nanak Dev University. Sikh scholar, Dr Balwant Dhillon, laid the groundwork and recruited participants to the program, which was held at Nishkam International Centre, alongside the Golden Temple. This marvelous venue was made available through the generous facility of Bhai Sahib, Mohinder Singh, with the organizational support of Mr Sukhbir Singh. Fans of the photo video of the meeting of world religious leaders in the Holy Land are in for a treat. Award winning photographer Claudia Henzler has just completed the editing of a new photo video of the Amritsar meeting of the Elijah Board of World Religious Leaders. With stunning images of the Golden Temple, Sikh culture, The Dalai Lama in loving interactions and the exchanges of members of Elijah’s Board of World Religious Leader – all to the accompaniment of rhythmic Sikh prayer songs – this new video promises to be a treat. View it, and be inspired! The Elijah Institute was able to bring together religious leaders from three faiths in Israel-Palestine to address visitors from South America and to inspire them with a message of hope for peace. ‘AMISRAEL – The Messenger of Peace’ is a non-governmental organization with the mission of promoting activities for creating peace among peoples and between nations. Earlier this year, AMISRAEL held its Annual International Conference in Jerusalem on the theme of ‘Hope’, with delegates from many countries in Central and South America professing different faiths yet united in their commitment to peace for Israel and the Palestinians. Elijah facilitated a panel, where prominent religious leaders from three faiths, Judaism, Christianity and Islam, discussed the concept of ‘Hope’ from each of their perspectives and their hope for peace in Jerusalem. Rabbi Eliyahu Bakshi Doron, Former Israeli Chief Rabbi, explained that for him as a Jewish leader the hope was in the dire state of affairs he observed around him. With so many young people alienated from religion, his faith told him that the next phase would be a revival of spirituality and a renewed commitment to religious values. People would come to see the emptiness of their non-religious lives and would recognize that the future depends on hope which depends on faith. He was not despondent at the failure of peace effort until now; he asserted that this was fulfillment of Biblical prophecy which indicated that out of the depths comes the greatest hope and momentum towards ultimate peace. The Custos, Most Rev. Fr. Pierbattista Pizzaballa, the most senior monk living in the region and the Vatican’s delegated custodian of the Holy Land, spoke of Hope as the key value in Christianity. For him, the resurrection of Jesus represents a paradigm of hope for all humanity; Jesus embodies hope and represents the ability of the Divine to overcome all obstacles. He spoke in poetic and moving terms about the vision of peace that motivates him and many committed Christians to see Jerusalem not as an irresolvable problem but as a beacon of hope. Professor Muhammed Dajani Daoudi, the founder of the Wasatia Movement, a new movement in Islam that preaches moderation in all things and a peaceful resolution of all conflicts, brought proof texts from Islam that supported his hope that the conflict in Israel-Palestine could and would be resolved peacefully. He illustrated his presentation with anecdotes from his own life, where his expectations of hostility had been thwarted by acts of loving-kindness. Firmly grounded in the realities of today, he saw religious values as the antidote to political gamesmanship. His hope is that individuals will learn the true, peace-loving values that each of their faiths represents, and reject the manipulation of leaders who profess to be ‘religious’ but hold values antithetical to those which the Almighty has decreed. The session was chaired by Elijah’s Director of Educational Activities, Peta Jones Pellach. If you would like Elijah’s work with the community to develop, please support it, with your love, prayer and donation.